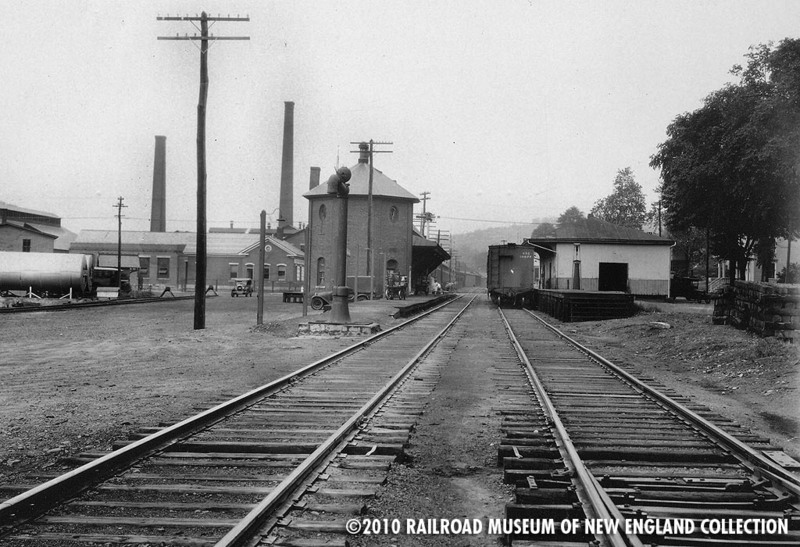 The view looking south at Thomaston on June 29, 1929. Notice the fuel oil dealer at far right, whose tanks are still located here today. 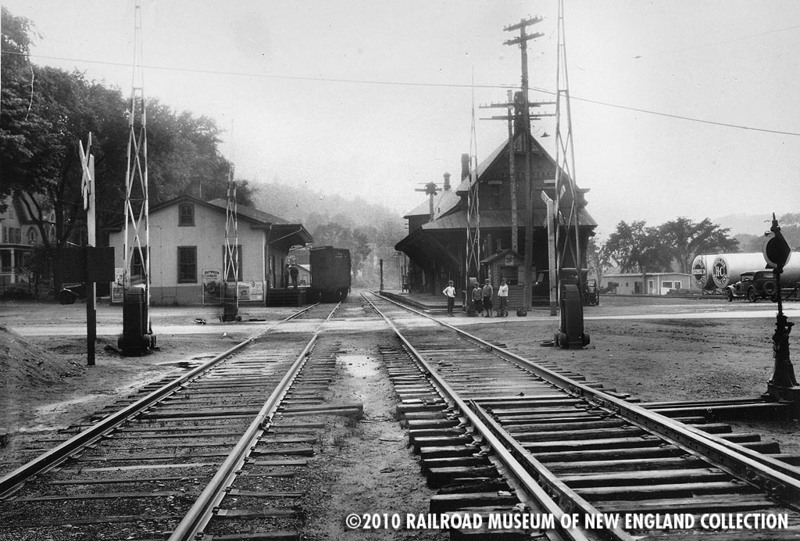 The view looking north at Thomaston, June 29, 1929. 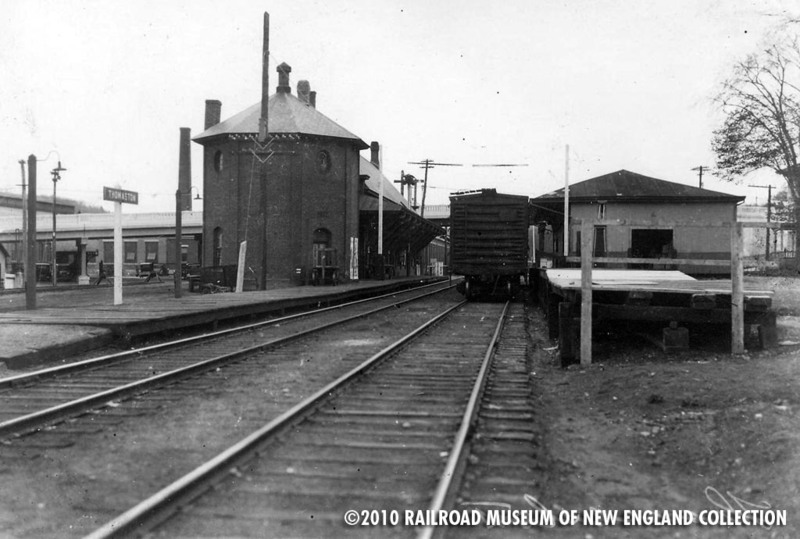 Notice the brick enclosed water tank and the freight house on the right. 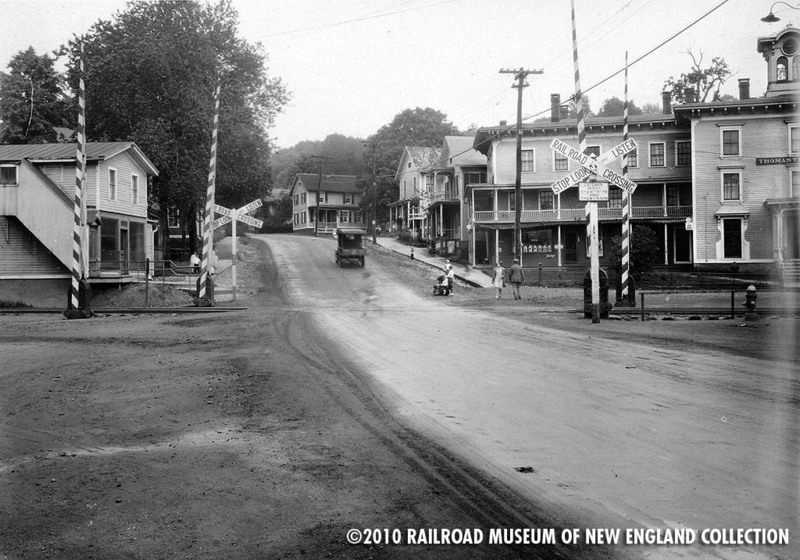 Looking across Main Street in Thomaston, Connecticut on June 29, 1929. These photos from 1929 were preliminary “survey” photos taken prior to the construction of the East Main Street bridge. This view looks towards the west on July 23, 1931. The freight house is located on the far left of this picture. 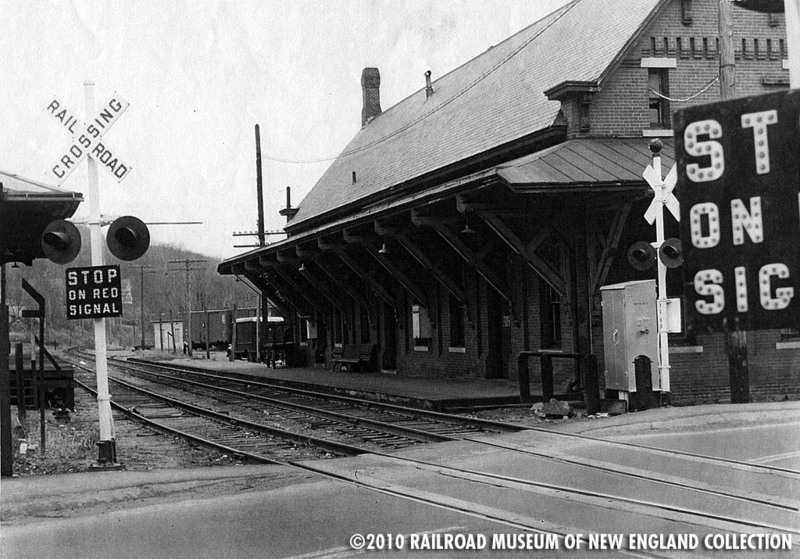 Thomaston Station in the fall of 1955, only a few months after devastating floods tore through this area. Notice the “temporary” crossbuck flashers installed at this location. 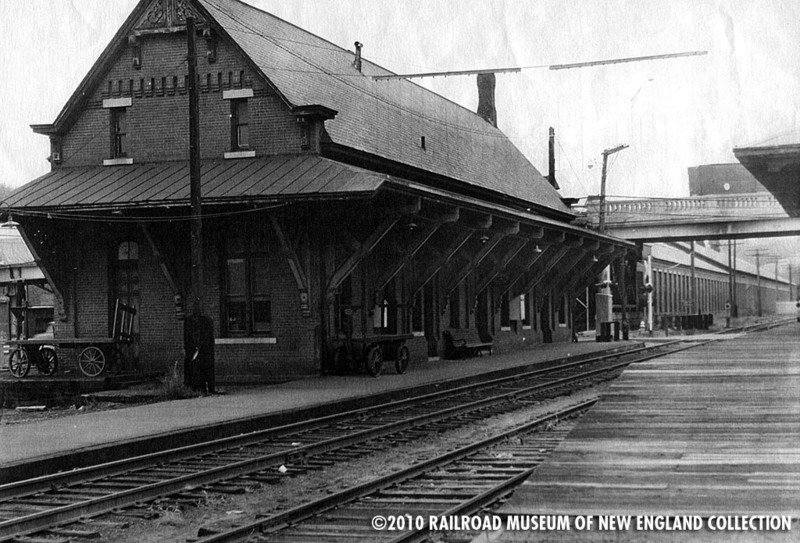 Looking towards the north at Thomaston Station in the Fall of 1955. Plume & Atwood can be seen in the distance beyond the bridge, and the platform of the freight house is seen at far right. 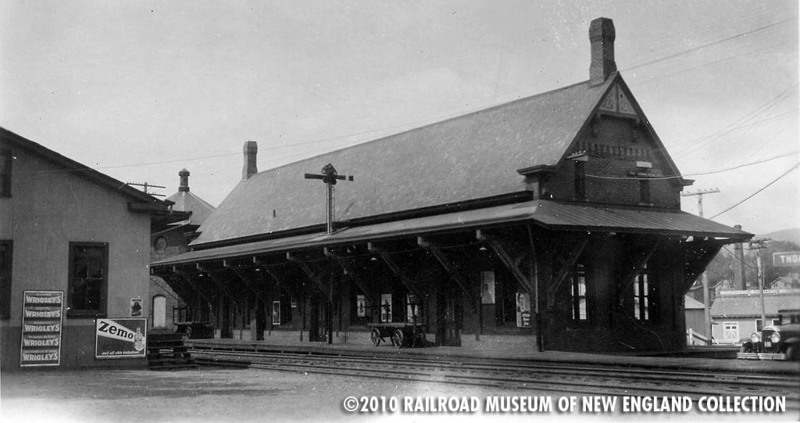 With steam engines vanquished from the Naugatuck, the brick enclosed water tank has been removed. Today you can board Naugatuck Railroad excursion trains from the Thomaston Station and enjoy a scenic ride through the Naugatuck Valley!